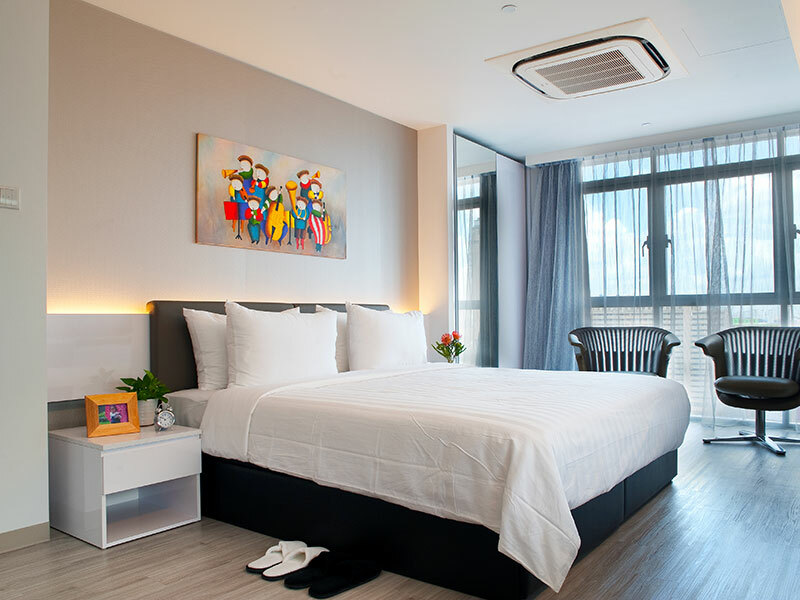 Located in Bras Basah - Bugis district, Wilby Central has 138 serviced apartment units surrounded by entertainment venues, shopping malls and cultural centres. 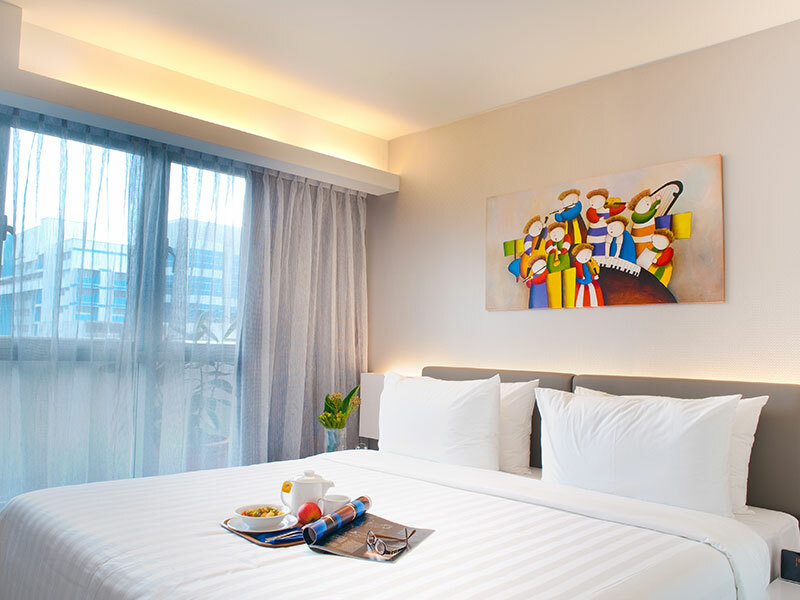 Nestled on Queen Street, Wilby Central provides an ideal accommodation for both business and leisure travellers in the heart of Singapore. Enjoy the ease of access travelling and exploring other parts of Singapore with a 5-minutes stroll to the nearest Mass Rapid Transit (Bras Basah MRT). With vibrant interiors and modern amenities, experience this luxury living at your urban home in the city. The ideal accommodation for business and leisure travelers looking for comfort and convenience. Lay back in your luscious yet functional room with a king-sized bed and work table. Furnished with stylish fittings and fluffy duvet, create a memorable and pleasurable stay in our Studio Deluxe Apartment. Our Two Bedroom Apartment is the perfect room when traveling with family or with friends. Featuring 2 cozy rooms with king-sized bed, a private bathroom for each room with bathtub, a dining area and a well-equipped kitchenette. Unwind your day with entertainment from a variety of cable TV channels or indulge in a relaxing and rejuvenating time in the bathtub.